I have never been able to take a decent Selfie. A selfie is a self-portrait photograph, usually taken with a camera phone. You don’t see many selfies from me on DigiDame, Facebook, and Instagram. I am somewhat envious of family and friends who document everything with a selfie. I would love to do that but my arms are too short. I found that out the hard way. The more I tried to stretch out my arm to take a selfie, the harder it was for me to reach the shutter button. With a new phone device called selfy™, I can now slide the remote shutter out of the case and hold it one hand while my other hand holds the phone. That’s cool. 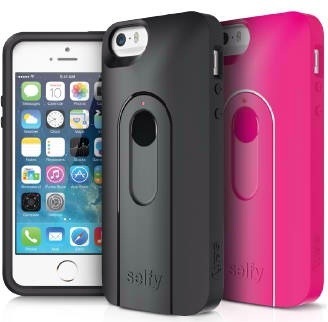 Retailing at $49.95, the selfy can be found at Amazon, Best Buy, others. If you want a better understanding of what you can do with the new selfy, watch the video above.